Contact a Home Inspector: Edwards, Vail, Silverthorne, CO | True Perspective Home Consultants, Inc. True Perspective Home Consultants, Inc.
Searching for a Home Inspector in Edwards or Vail, CO? True Perspective Home Consultants, Inc. works with buyers and sellers in Colorado for home inspections, mold inspections and other inspection and testing services. Choose an inspector and consultant who can draw on over 30 years of general contracting experience. 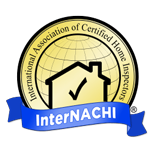 Call today to arrange a time for your inspection.